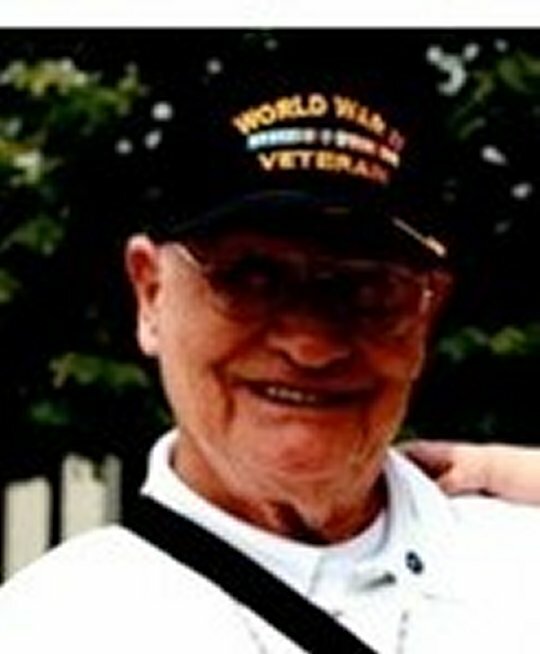 Edward Poynter age 96 of Somerset, Kentucky passed from this life Monday, April 1, 2019 at his home. He was born March 18, 1923 to the late Eugene Poynter and Molly Bingham Poynter in Indiana. He was a Army/ Air Core Veteran from WWII, and he was very proud to be a Vet. He attended New Enterprise Baptist Church for eleven years. He liked to play bridge twice a week, go bowling, fishing, and play golf. He is preceded in death by his parents; his first wife, Leora Williams Poynter; his second wife, Marjorie Williams Poynter; his daughter, Becky Burton; his brother, James Irsley Poynter; his sisters, Ada Durham, Verna Back and infant sister, Marie Poynter. Edward is survived by his daughters, Molly Minton of Phoenix, Arizona, Millie (Ron) Travillion of Nevada, Sylvia (Jimbo) Haynes of Burnside, Nancy (Patrick) of Arizona; his sisters, Frances McDaniel of Burnside, Glenda Green of Indiana, and Loretta (Jim) Horn of Indiana; brothers, Eugene Poynter of Ohio, Jack (Pernie) Poynter of Ohio; thirteen grandchildren; thirty one great-grandchildren; fourteen great great-grandchildren; lots of special nieces and nephews, a host of family, friends, and a special caretaker, Glenda Ford of Somerset. He will be missed by all who knew and loved him. A memorial service will be held Thursday, April 4, 2019, from 5:00 P.M. to 7:00 P.M. in the Chapel of the Southern Oaks Funeral Home with Bro. Jim McKinney and Bro. Scotty Nix officiating. In lieu of flowers donations can be made to the Gideon Bible Plan c/o Southern Oaks Funeral Home. Interment will be in the Vernon Cemetery in Vernon, Indiana. Southern Oaks Funeral Home is entrusted with the arrangements for Edward Poynter.